viral tonsillitis or upper respiratory tract infection. URI or URTI. Tonsils are the little round things that hang in the back of your throat. You can see them if you open wide while looking in a mirror. Tonsils contain special cells called lymphocytes that help the body to fight infection. 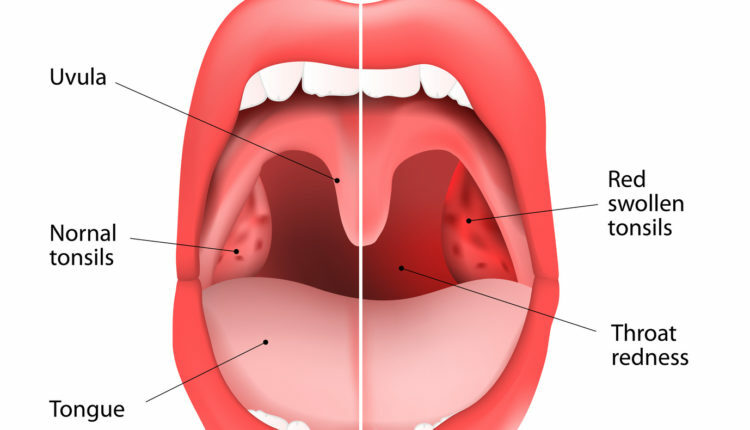 Tonsils are a part of the bodies immune system. Tonsil stones are little bits of infection that accumulate in the crevices of your tonsils. They are usually quite small but can become larger if they’ve been there awhile. You can have just one, on just one tonsil, or several on both sides of your tonsils. Tonsil stones have a foul odor and can cause bad breath. Tonsil stones are caused by a build up of sulfur containing bacteria and food particles that get stuck inside the crevices of the tonsils. They can cause your throat to be sore. When you have tonsil stones you usually can feel them. It will feel like something is stuck in the back of your throat. If you think you may have tonsil stones you can check using a flashlight. Open your mouth wide in front of a mirror. Shine the light inside your mouth towards the back of your throat. If you see white spots on your tonsils they are probably tonsil stones. White sore like spots going down the back of your throat are not tonsil stones. It is more likely they are caused by a step infection. Strep is serious and if you suspect that you have it you should see your doctor as soon as you can. Tonsillitis is a term used to describe red, inflamed, sore, infected tonsils. Tonsillitis can be caused from post nasal drip, strep infection, or bacteria buildup from poor oral hygiene. Tonsil stones can cause tonsillitis if left untreated. Tonsillitis can cause tonsil stones. When you have tonsillitis your tonsils will be very red and swollen. It will hurt to swallow. You’ll have a terrible sore throat. You may have a fever due to your body trying to fight the infection. If you have any of these symptoms it’s important to see a doctor. Swollen tonsils can affect breathing if they swell too much. This can be serious especially when it comes to children. Tonsil stones without tonsillitis can be removed at home. Gently push on them with a clean cotton swab. They will often pop out with slight pressure. Be careful not to swallow them. Gargling with salt water can help to remove tonsil stones. Add teaspoon of salt to a glass of warm water to make a salt water solution. Gargle using this solution at least four times a day until the tonsil stones release themselves. A water pick can also be very useful for removing tonsil stones. Tonsils stones that cannot be removed using these methods will need to be removed by a doctor. Sometimes tonsil stones form deep inside the crevices and can only be removed by a medical professional. In many cases antibiotics are prescribed for the treatment of tonsillitis. 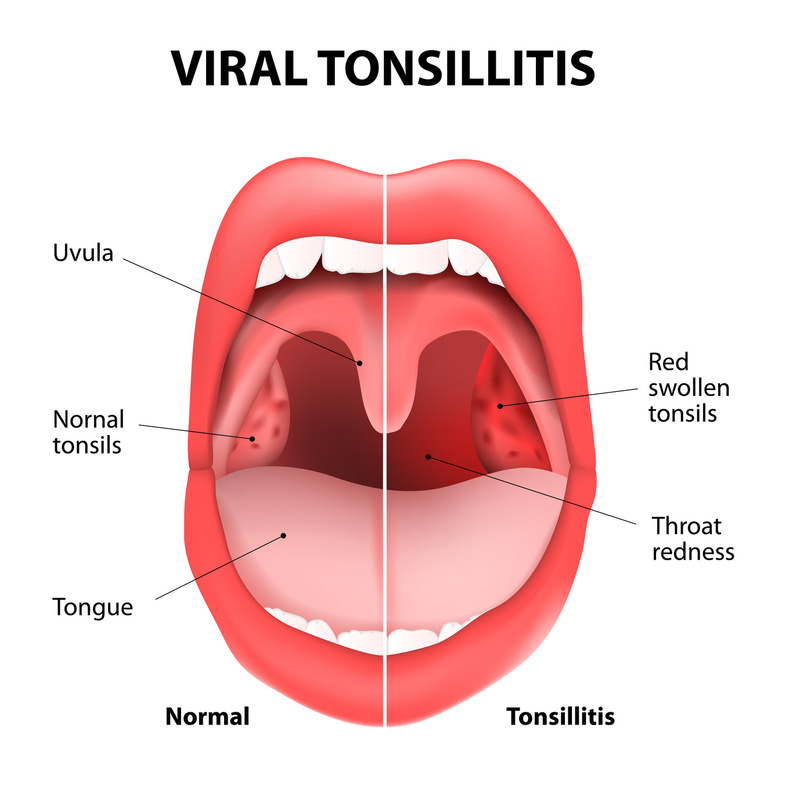 If tonsillitis is an on going issue that does not seem to go away despite treatment with antibiotics your doctor may want to have your tonsils removed via a tonsillectomy. A tonsillectomy is quick and easy surgery. Anesthesia is used so the patient is not awake during the procedure. The surgery takes about fifteen minutes from start to finish. It is an in and out operation. You’ll be able to go home the same day. People who suffered from frequent sore throats before a tonsillectomy have reported that they no longer have sore throats at all after the procedure. To prevent both tonsil stones and tonsillitis practice good oral hygiene. Brush your teeth every morning after breakfast. Brush again after lunch, and again before you go to bed. Use an antiseptic mouth wash or gargle with salt water at least twice a day. Good oral hygiene will prevent bacteria from accumulating and causing infection. If post nasal drip is a problem for you see a doctor about it. Getting rid of the post nasal drip will prevent tonsil stones and tonsillitis that are caused from it.